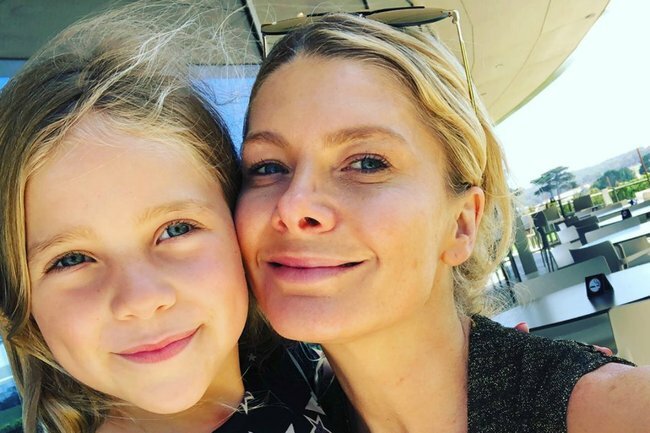 How to start instagram business: Natalie Bassingthwaighte's Chi Khi. When Natalie Bassingthwaighte wasn’t able to find urban or edgy unisex clothing for her children, she decided to start her own label. After seeing the effect of bamboo sheets for her children’s skin, she researched the benefits of bamboo materials and after months of market research and preparation, she launched Chi Khi in 2015. Speaking to Rachel Corbett on the Mamamia podcast Lady Startup, the Australian recording artist explained how the label went from an idea to a reality, and how celebrities’ children wearing the clothes on Instagram has been an invaluable boost. “I wanted to figure out what I could do on my own that didn’t rely on my agent or producers or whatever, I just thought something that I would really love and I was always into interior design and architecture, so I knew it needed to be something kind of design-based,” she told Mamamia. She added that she found the business side of it “difficult”, especially given the fast-paced nature of the fashion industry. “Being a Virgo control freak, I shouldn’t be doing fashion, it doesn’t work well,” she joked. A #ChiKhi behind the scenes snap from our new season shoot ???? #GirlBoss @natbassingthwaighte with mini model @the_woolfepack_official working their best angles! The 43-year-old continued to explain that one of the most difficult parts of a design-based business is the culture of ripping off. “Everyone’s copying each other’s styles as well, you do have to stick to your guns a little bit,” she told Mamamia. In addition to the high quality of the design and the product, the television personality explained that marketing, especially on social media, was key to the company success. 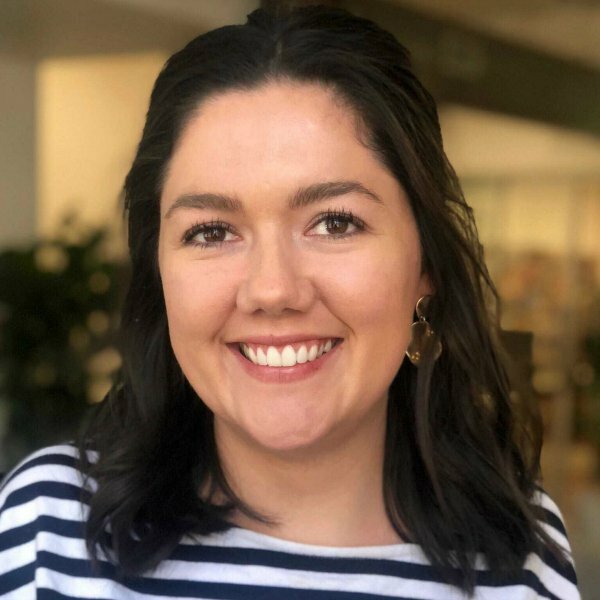 “When we launched it was massive, the first year was really fantastic, but I put lots of money in, marketing, PR, web people, it was amazing… but to keep that up and to keep buying the stock three months in advance, it was budgeting I found most challenging,” she said. One element of this marketing plan paid off exponentially though. Given the significance of social media for the brand’s marketing, Bassingthwaighte decided to send celebrities her clothes. “I’ve been fortunate enough to be in an industry where I can send and gift celebrities part of our collections and then hopefully they’ll post… we gifted Kelly Rowland some stuff last year and she posted this amazing picture of her and her son looking at this incredible view with our jacket on, she didn’t tag us, that would have been next level, but it was still amazing,” she told Mamamia. This exposure, Bassingthwaighte believes, was responsible for a spike in interest from other celebrities, such as Beyonce and Jessica Alba. “The other day Beyonce’s personal assistant, who is also Blue Ivy’s stylist, emailed us saying ‘Can I please get some lookbooks?’ and we were like ‘Sure, would Beyonce like some limited edition Mummy and Me stuff too?’ Like it was pretty cool, and we were like ‘we wonder where she got that from’ because we’ve had Fergie wear our stuff, Jessica Alba’s kid Axel, Rachel Zoe… but then Kelly Rowland maybe wore it and then they saw it,” she explained. Since the company’s Instagram wasn’t tagged in the post, it didn’t convert to immediate sales, but rather helped Bassingthwaighte’s brand attract investors. Social media marketing is becoming increasingly popular, particularly among small businesses. In 2012, the founders of Triangl bikinis decided to experiment with social media marketing because they couldn’t afford traditional avenues, such as billboards. The brand took off, and when they sent Kendall Jenner some bikinis, she tweeted a photo on Twitter, resulting in a huge boost for the brand. “It really kick-started sales in the US, which is now one of our biggest markets,” co-founder Craig Ellis told The Daily Mail. In 2016, Triangl bikinis was valued at around $36 million. Four years after Chi Khi launched, the brand has gone beyond only being available online, and is stocked by Myer, as well as The Iconic. Next month, the brand is launching a winter range of Mummy and Me products. Listen to the full audio interview about Chi Khi with Natalie Bassingthwaighte on the Lady Startup podcast.